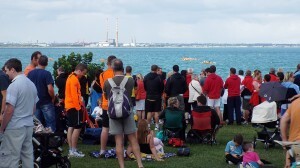 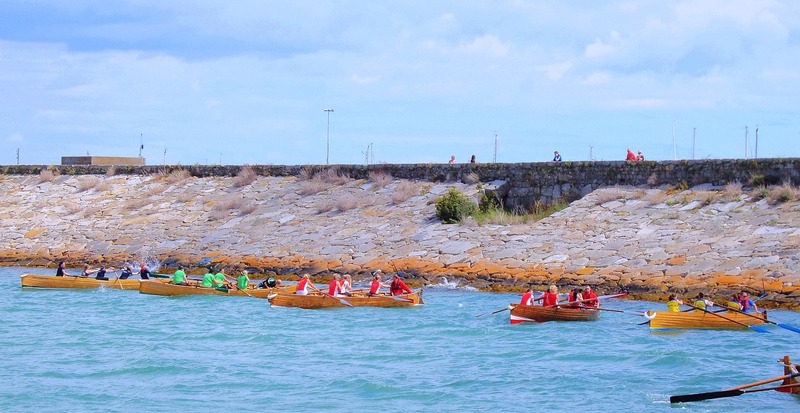 This weekend we welcomed the whole of the East Coast to Dun Laoghaire for our home regatta. Thanks to year-on-year growth across the sport, this was our biggest regatta yet, with 85 crews from 9 clubs, spread across 13 races. 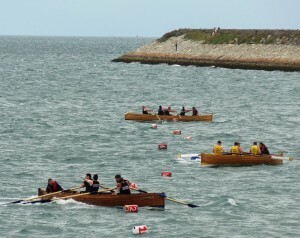 For the first time ever, we had 11 sets of start ropes and turning cans! 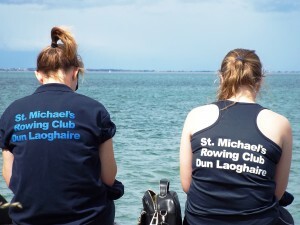 St. Michael’s entered a whopping 15 crews, which was matched by just one other club, and exceeded by none. 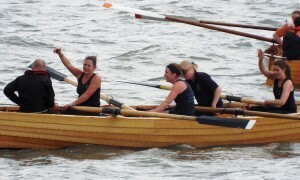 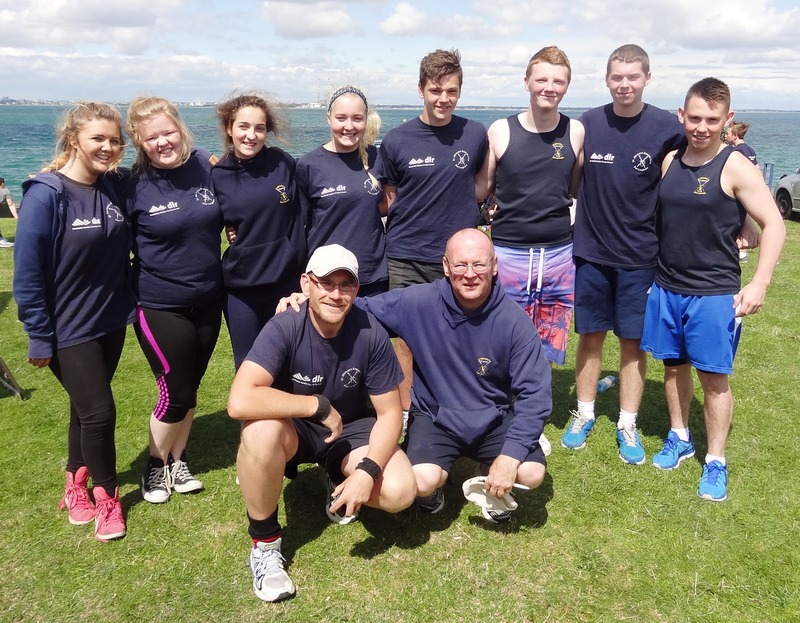 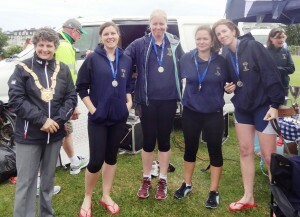 With 5 podium finishes, the Dun Laoghaire crews certainly did themselves proud too. 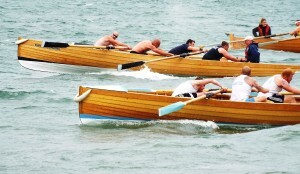 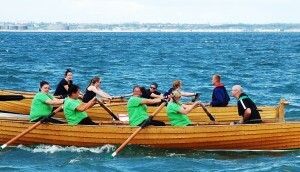 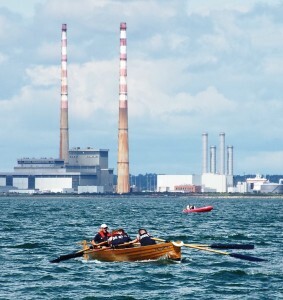 From glorious sunshine to torrential cloudbursts and calm waters to choppy seas, many crews faced tough rowing conditions during the day, but all rose to the challenge. 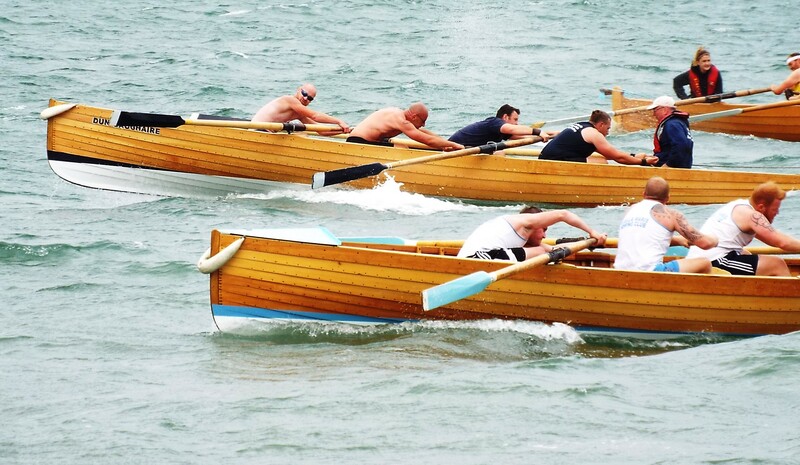 For the full line-up of races and event details, check out our previous post here. 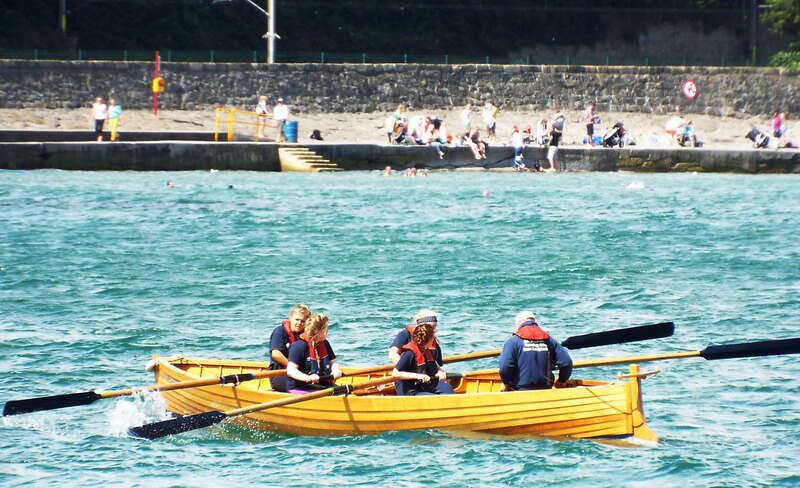 To try to chase the tide, this year saw an early start of 10.30am, but our U18 girls knocked the cobwebs off early with a fantastic silver medal finish. 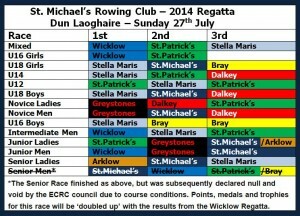 Our U18 boys were next to the podium, matching the girls with a 2nd place. Our U16s couldn’t quite scrape a medal, but it’s safe to say that the coming generation have a great career in rowing ahead of them! 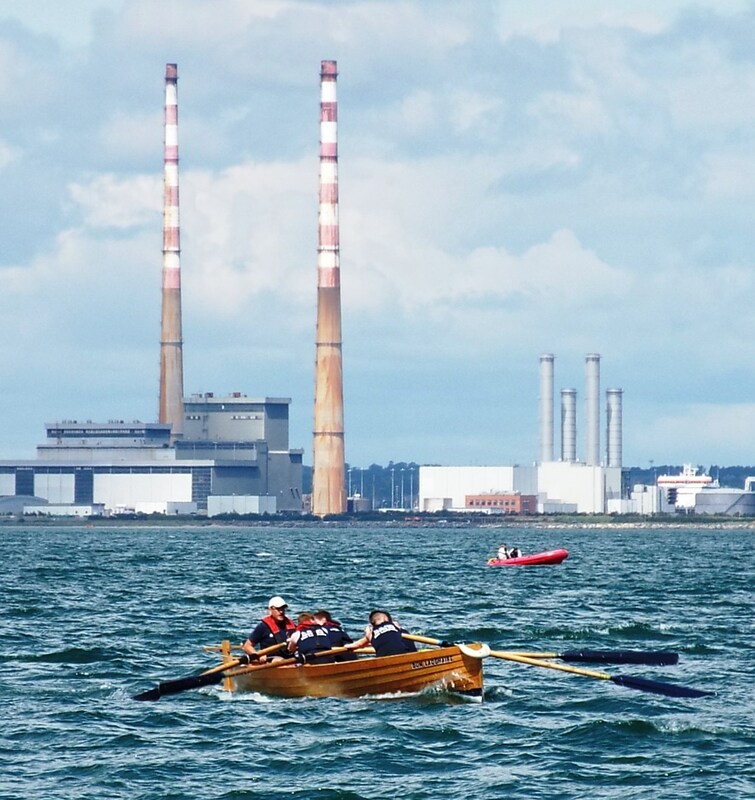 Our Novice Men pulled off a fantastic 2nd place in a hotly-contested race, and our Junior Ladies took bronze in a split-decision on the line, after a real ding-dong battle with Arklow. 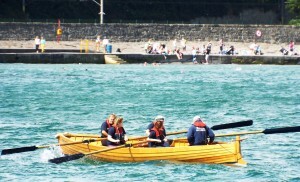 The judges were all squinting furiously along that finish line! 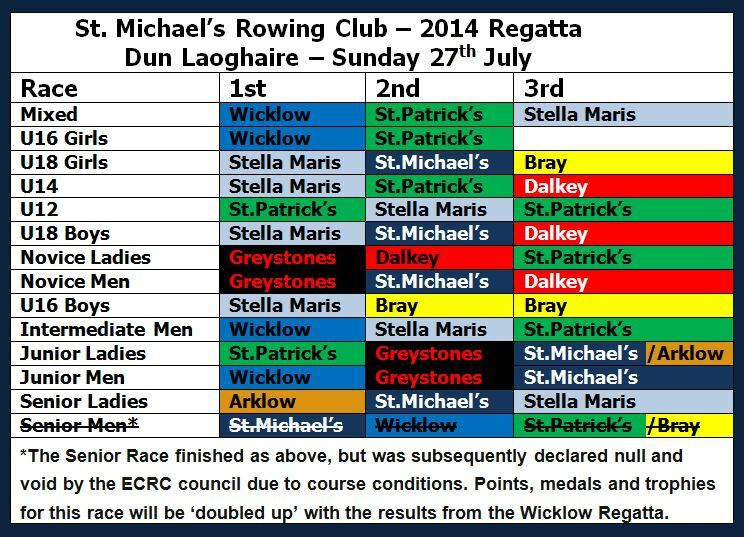 The Junior Men’s race had possibly the toughest conditions of the day, with many of the boats getting partially airborne on the 1st and 3rd legs! 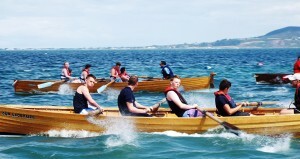 Our lads held out for a bronze medal position. 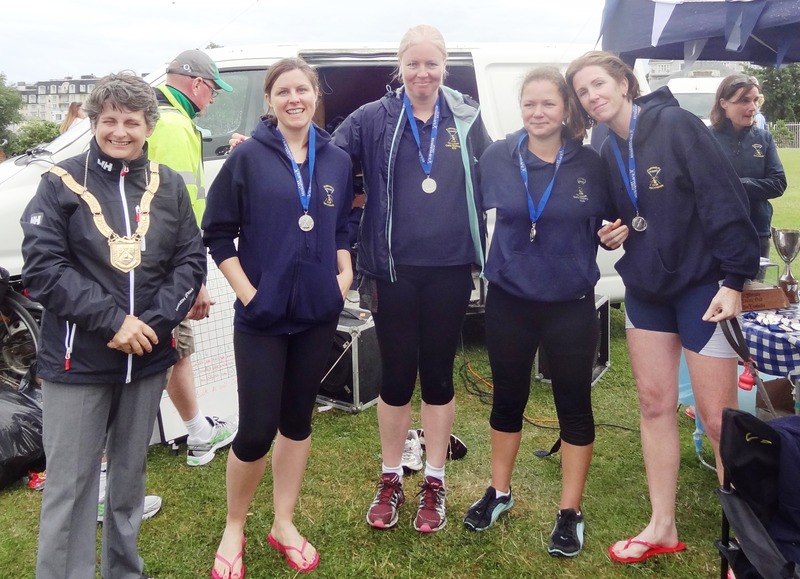 Our Senior Ladies might argue that their conditions were nearly as challenging, but credit to them, they took Silver in their race. 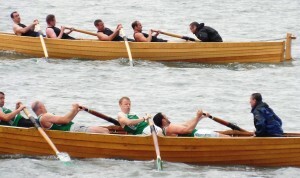 The final race of the day, Senior Men, presented a different challenge. Instead of high seas, it was low water, with one crew breaking an oar and unable to continue. 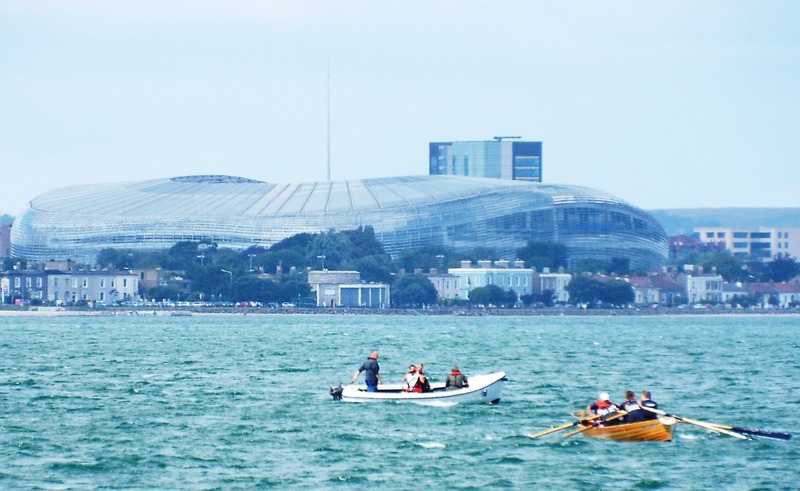 Our crew went on to finish first ahead of a strong Wicklow crew, but the race was subsequently declared ‘null and void’ by the East Coast Rowing Council, who decided that the medals, trophy, and points for this race would be awarded in a ‘double up’ scenario at Wicklow next weekend. 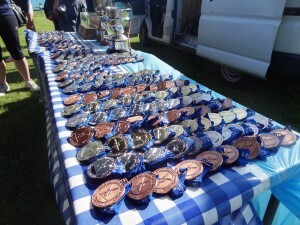 Many thanks to Cathaoirleach Cllr Marie Baker for presenting the medals and trophies at this year’s prizegiving, and to DLR County Council for sponsoring the fine medals for a 3rd year running. Credit too to the guys at McKenna’s for putting on a fine shindig afterwards, and to the army of helpers from within and beyond the club without whom the regatta could not have happened. 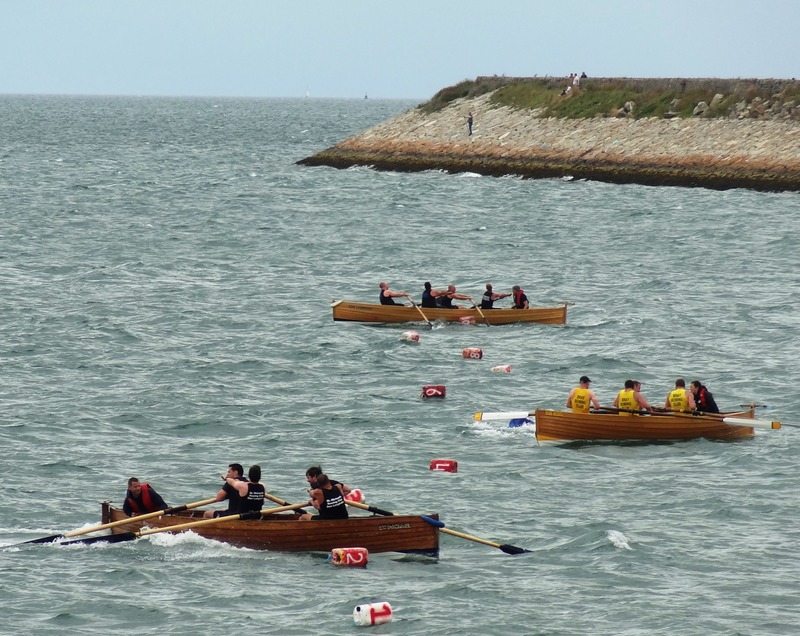 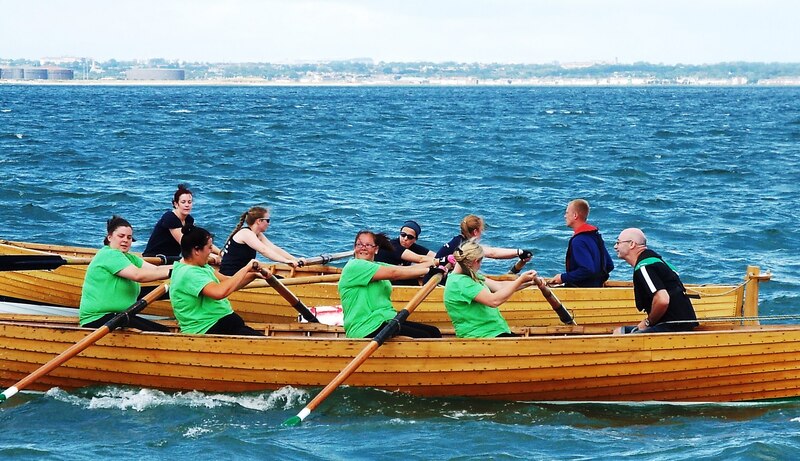 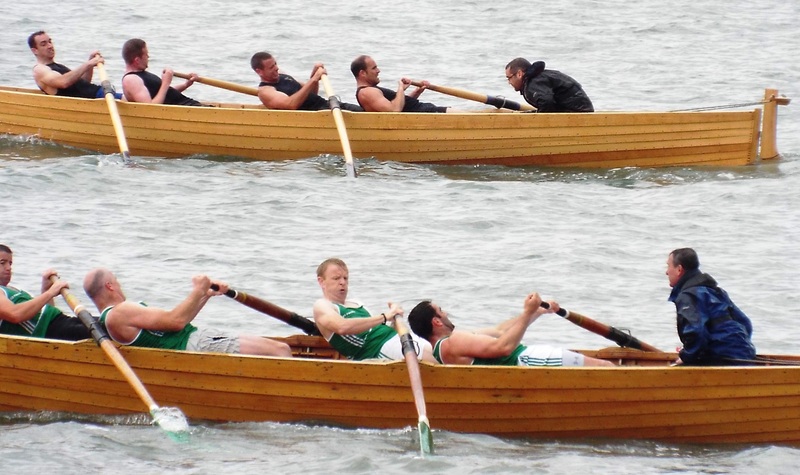 With many of our crews in the running for season medals, the final weekend of the East Coast season; the ‘double header’ of Greystones and Wicklow on the August Bank Holiday Saturday/Monday should make for an exciting conclusion to the regatta season! 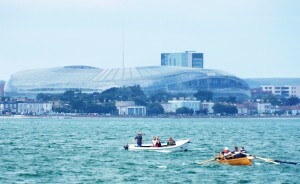 More pics of the day here, with a selection below.